ATLANTA, July 17, 2017 – A joint venture between Mainstreet Capital Partners and Davis Investment Ventures Value Opportunity Fund III, L.P., an entity of The Davis Companies (TDC), recently acquired Tucker Exchange, a Class A, 250,000-square-foot office building situated on 13 acres, located one mile from downtown Tucker in Atlanta’s Northlake submarket. Located at 2059 Northlake Parkway in the heart of the Tucker-Lakeside community, Tucker Exchange offers immediate access to I-285 and is proximate to seven hotels and 30 nearby restaurants. The five-story office building features 47,000 square-foot floor plates, and a 5/1,000 parking ratio with the opportunity to expand to a 6/1,000 ratio. Mainstreet and TDC will undertake a significant capital improvement plan to enhance the property’s exterior and interior features in order to re-envision the property as a dynamic, highly amenitized 21st century office community, thereby enhancing its appeal to tenants. JLL’s Agency Leasing team, led by Executive Vice President Glenn Aspinwall and Senior Associate David Horne, is actively marketing the building on behalf of the joint venture. Interior and exterior renovations will modernize the building to create an upscale environment that will provide tenants with modern, collaborative spaces at a price point that is unmatched by other office buildings in the Northlake submarket. The enhanced outdoor space will feature comfortable seating and an outdoor grilling area, perfect for office gatherings or happy hours. A new micro-mart and fitness center, and upgraded conference facilities will further enhance the amenity package. The redesigned atrium lobby will include new tiled flooring, modern lighting, a decorative feature wall, and a lounge with collaborative workspace. The elevator lobbies and cabs will be updated with contemporary finishes as well. Construction is currently underway. 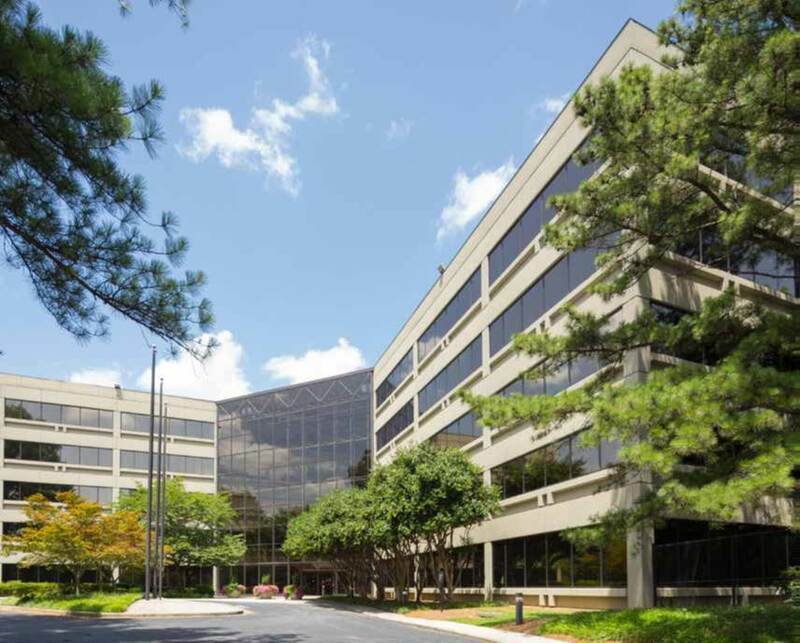 Fort Lauderdale-based Mainstreet Capital Partners owns 2000 and 2100 RiverEdge in Atlanta’s Cumberland/Galleria submarket, along with office properties across Florida and North Carolina. 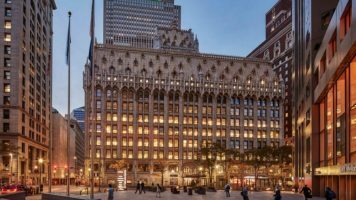 Headquartered in Boston, TDC is renowned for its successful repositioning and renovation projects throughout the Eastern U.S., having reimagined close to 100 office and residential properties across the country throughout its 41-year history. “Mainstreet Capital and The Davis Companies are excited to transform the great bones of this property for forwardthinking office tenants and their employees. 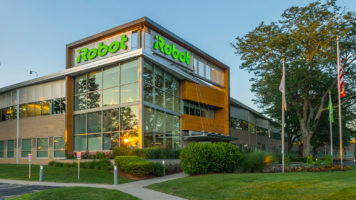 We are committed to a $10M renovation designed to attract and serve high density users across all industries and facility sizes,” said Paul Kilgallon, President, Mainstreet Capital Partners. “JLL is excited to partner with the ownership of Tucker Exchange in a complete rebrand and remodel of this great asset. The ownership’s vision meets the needs of today’s office tenants. We are excited to share this vision,” said JLL’s Aspinwall. To date, Mainstreet has completed twenty-three investments totalling $1.0 billion with seven institutional partners. Mainstreet has expanded from its original South Florida base with the addition of a long-term associate of Mr. Kilgallon. Peter Tonon, formerly an investment broker with Chesterton-Binswanger joined Mainstreet in January 2000. Mr. Tonon oversees the North and South Carolina region and has primary responsibility for managing Mainstreet’s capital requirements.